Edward Andrews Homes’ Alpharetta community, Larkspur, is a new take on the “active adult” formula. Its target market is “a generation of buyers that are trading in their large family homes and entering a new chapter lived on their own terms,” says Caroline Simmel, senior vice president of marketing. 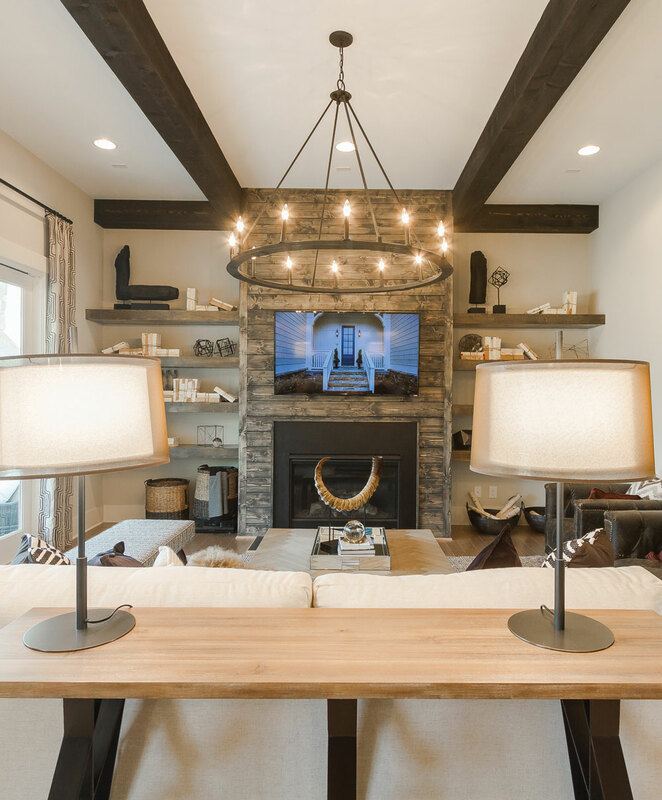 Most innovative is the neighborhood’s “modern farmhouse” ranch-style architecture evocative of Texas Hill Country or, perhaps more precisely, HGTV’s Joanna Gaines. Think shiplap walls, barn doors, beamed ceilings, marble kitchen islands, walk-in pantries, and outdoor fireplaces—all contained on one level, except for optional loft or basement spaces. The pastoral theme extends to the grounds, where Vegetable Hill boasts a community garden and Winter Vale Dressage is listed as the closest recreational facility. Closer to Vickery Village than Avalon, homes start at 2,450 square feet, with prices from the high $300s. This article originally appeared in our Spring 2017 issue of Atlanta Magazine’s HOME.